Jorge Solis-Palma was shot and killed by a Border after reportedly throwing a rock and injuring an agent. Fatal Surveillance camera captured the fatal shooting. Victor Santillan de la Cruz was shot and killed during a struggle with a Border Patrol agent. Border Patrol Agent Robert Kipler entered a residence located just south of Van Buren with Main State Trooper during a domestic dispute investigation. The State Trooper and CBP agent fired at the subject, Neil Begin. Begin was struck by some of the rounds and collapsed to the floor. After being transported to a local hospital and then to a hospital in Bangor, Maine, he died the next morning. The AG found the shooting to be justified. Anastasio Hernandez Rojas is tortured to death by over a dozen border agents (CBP and Border Patrol) at San Ysidro port-of-entry in California in view of border travelers. Witnesses video record his cries for help. The video footage is too dark to make out what is taking place, but Hernandez’s cries for help are clear and alarming. Some witnesses had their recording devices confiscated and videos deleted by the U.S. port-of-entry officials. Border Patrol claims Hernandez was combative and uncooperative, requiring use of force. Eyewitnesses claim otherwise. Almost two years later, a new eyewitness video surfaced that supports eyewitnesses accounts (see below). Sergio Adrian Huereca, 15, is shot to death on the U.S.-Mexico border near El Paso, Texas while standing in Mexico. CBP officials claim that the Border Patrol agent was surrounded by a group tossing rocks. An eyewitness video does not support these facts, showing the agent firing shots at individuals who are at a distance and outside the frame of the camera. The agent is also wearing a bicycle helmet. The Department of Justice later dismisses the case due to lack of jurisdiction. Juan Mendez, Jr. was shot in the back twice and killed by a Border Patrol agent after being in car chase. Mendez was stopped by the officer for driving with a “suspicious load” and took off running; he briefly struggled with the agent before the shooting. Ramses Barron Torres was shot and killed after allegedly throwing rocks at Border Patrol. Witnesses deny he threw rocks. DOJ stated in their press release closing their investigation that they reviewed surveillance videos, but videos have not been released publicly. Roberto Pérez Pérez was beaten while in detention for trying to re-enter the U.S. and died due to lack of proper medical care. Alex Martinez was shot and killed by Border Patrol agents while allegedly swinging a hammer and smashing windows in his mobile home. Martinez had a history of mental problems. His brother says Martinez did not come out running and instead complied with commands to step out of the house. What officers believed to be a gun in his possession was in fact a flashlight. U.S. Citizen Carlos La Madrid, 19, was shot four times in the back near Douglas, Arizona. Border Patrol states that someone on a ladder above him was throwing rocks. Wheelchair-bound Amado Rodriguez was shot and killed by members of the El Paso County Sheriff’s SWAT team. The Fabens Border Patrol Station provided back up. The shooting was investigated by the El Paso Sheriff’s Department and Internal Affairs but the results of the investigation have not been released. Article: Niece of Man Slain in Fabens: He was unarmed. 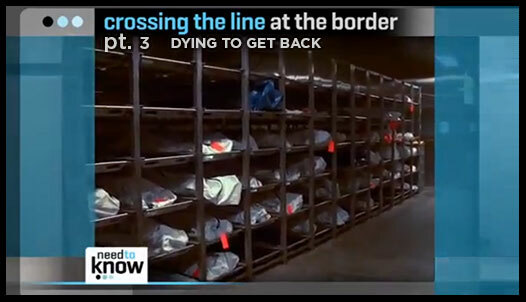 An investigation by The Arizona Republic found that since 2005 on-duty Border Patrol agents and Customs and Border Protection officers have killed at least 45 people, including 13 Americans. This database includes details on those 45 deaths, and an additional death involving an off-duty officer. The database is current as of March 25, 2014. Jose Alfredo Yañez Reyes was shot and killed along the fence near the San Ysidro Border Crossing. Agents claim suspected border crossers were throwing rocks; it’s unclear if Reyes was involved in the rock throwing. Culture of Cruelty report is released by Arizona based No More Deaths, revealing thousands of cases of abuse by CBP. An off-duty CBP agent got into a shootout with his wife’s cousin, Omar Olivares. Olivares was killed on the scene. The agent died later in the hospital. Gerardo Rico Lozano was shot and killed after CBP agents pulled over his vehicle. Byron Neftalí Sosa Orellana was shot and killed by a CBP agent after allegedly assaulting the agent and a police dog. Alexander Arthur Martin died in car explosion that may have been caused by Border Patrol tasers. Border Patrol officials chased Martin’s car after he began driving the wrong way down the highway. Nearly two years after the killing of Anastasio Hernandez Rojas and after no movement whatsoever by the authorities to investigate the case, PBS airs never before seen eyewitness footage of the beating and killing of Hernandez revealing a man who was detained, hogtied and face down on the ground while agents kicked, punched and Tasered him at least five times until his heart stopped. Over nine cities across the country take part in demonstrations demanding justice for Anastasio Hernandez Rojas and border families affected by Border Patrol abuse. Press Release: Families Affected by Border Brutality Joined By Vigils Across the U.S.
Maria Luz Rojas, mother of Anastasio Hernandez Rojas, and representatives of the Southern Border Communities Coalition travel to Washington D.C. to deliver a petition signed by over 30,000 people to the Department of Justice asking for investigations into all deaths caused by lethal use-of-force by CBP, and for accountability and oversight. As a result of this visit, 16 members of Congress write letters to Janet Napolitano (DHS), Inspector General Charles K. Edwards, and Attorney General Eric Holder (DOJ), raising questions about the serious problems stemming from the use of force by U.S. Customs and Border Protection officers and agents. Charles Robinson was shot and killed by U.S. Border Patrol agents during a confrontation at Mr. Robinson’s residence on the Long Pond Road in Jackman. Juan Pablo Perez Santillan was shot and killed by a CBP agent while standing on the bank of the Rio Grande in Matamoros just across from Brownsville. Border Patrol claims Perez Santillan was throwing rocks. Witnesses say he was unarmed. Guillermo Arévalo Pedroza was shot and killed by CBP agents while on a picnic with his wife and two young daughters on the Mexican side of the Rio Grande. Border patrol agents claim they were under attack from rock throwers. A video posted online by a Nuevo Laredo news organization showed the shooting, but didn’t show any rock throwing. 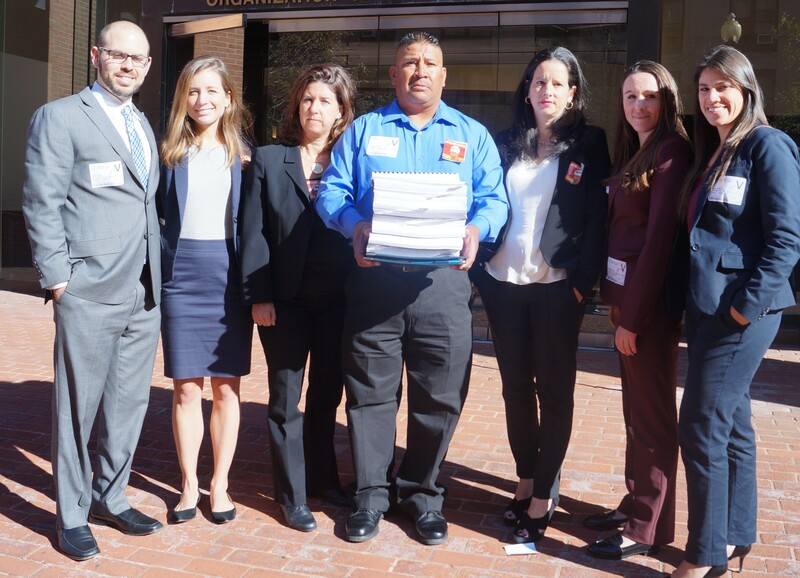 ACLU presents Human Rights Violations on the United States-Mexico Border to the Office of the United Nations High Commissioner for Human Rights, which details the alarming trend of abuse and lethal excessive use of force at the hands of CBP officers and agents. A grand jury announces investigation in the case of Anastasio Hernandez Rojas. Valeria Munique Tachiquin, U.S. citizen and mother of five, is killed in an urban community by a federal agent serving a warrant for someone else. The agent, Justin Tackett, had been previously fired from his career as an Imperial County sheriff’s deputy. In a termination letter written by Imperial County Sheriff’s Department Chief Sharon Housouer, Tackett was described as being unfit to carry a badge or a gun due to his history of misconduct. José Antonio Elena Rodriguez, 16, is killed while standing in Nogales, Mexico near the U.S.-Mexico border fence in Arizona. Border Patrol claims individuals were throwing rocks. Investigative reports reveal conflicting accounts. The United Nations declares that U.S. uses excessive force along Mexican border. U.N. High Commissioner for Human Rights Navi Pillay said that law enforcement officials should use non-violent methods before any forceful action is taken. Pillay calls on the U.S. and Mexico to transparently investigate incidents where lethal force was used. Margarito Lopez Morelos was shot and killed after a struggle with a CBP agent. According to Government Accountability Reports, the number of border patrol agents has doubled between 2004 to 2012. But a source says that getting into the Border Patrol training academy is easy. The course periods have dropped from 20 weeks to 12 weeks and a couple of requirements have been cut back. Members of Congress question the agency’s accountability. 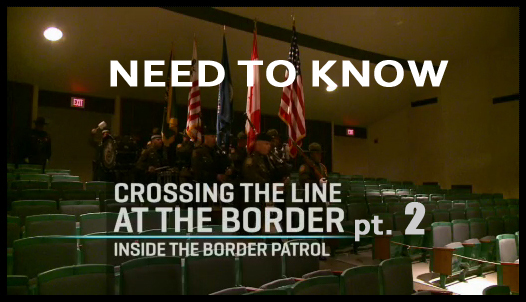 Article: Inside sources say Border Patrol agents are a ‘menace to society’. 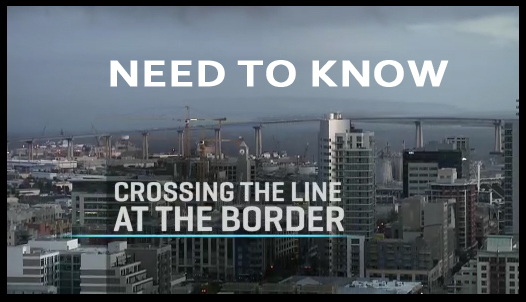 SBCC releases Better Border Briefing with recommendations by border communities for improved border policy. Benchmarks for Border Security Have Been Met. Net Unauthorized Migration from Mexico has Fallen to Zero. Border Enforcement Costs Billions, Can We Afford More? With Crossings at a Historic Low, Apprehensions are Manageable. Effecient Ports of Entry Should be the Priority Moving Forward. Heartland States Depend on Efficient Ports at the Southern Border. The Dangers of Unchecked Border Enforcement. Rep. Lucille Roybal-Allard meets with families of victims of Border Patrol brutality. She acknowledges the excessive use of force by border patrol agents and the need to better train these agents. Rep. Roybal-Allard says that these families need to be heard before any new decisions on border enforcement are made. Mathew Simmons was shot and killed after agents drove up to his car on the side of the road near Otay Mesa Border. His car appeared to have been in an accident. One of the agents checked the car license place and determined it was a stolen vehicle. Simmons pulled a handgun on the 3 agents, shooting one of them on the him. The agents responded with gunfire and killed him. Over the Line : Why are U.S. Border Patrol agents shooting into Mexico and killing innocent civilians? – Washington Monthly article providing an overview of abuse incidents and rock throwing in particular. The article also highlights the problems of rapidly increasing the number of border patrol agents, which results in more inexperienced agents and correlates with the unjustified killings of people by border patrol agents. Leaked Border Patrol report expresses dangers of irresponsible enforcement buildup. Oversight and accountability are not being looked into and instead Senate has proposed to increase the number of agents from 20,000 to 45,000. Office of Inspector General (OIG) releases report – U.S. Customs and Border Protection Use of Force Training and Actions to Address Use of Force Incidents. SBCC critiques report as incomplete and insufficient. An audit of the Border Patrol training finds that many agents don’t understand the use-of-force-rules. It also found the trainings to be too short and there was a lack of tests given in the comprehension of the use of “less-lethal” force. CBP web post on Use of Force Reviews, Recommendations and Next Steps (posted on the morning of the Southwest Border Forum, prior to meeting with SBCC). White House blog post regarding Southwest Border Forum (White House forum held with SBCC and multiple governmental representatives on 9/25/13). It talks about the Senate bill and ways it could fix the broken immigration system, such as improving the visa processing and giving farm workers an opportunity to gain citizenship. Ernesto Gutierrez Cortez, a resident in Perris, CA, was fatally shot by a CBP agent at the Otay Border Crossing. Authorities said that Cortez tried to go around the other traffic at the border crossing, then drove towards the Customs and Border Protection officer. That officer and two others opened fire on the car, killing Cortez. CBP reveals Police Executive Review Forum (PERF) report has been issued with recommendations to change use-of-force policy. Border Patrol Chief Mike Fisher states that the Border Patrol will not follow these best police practices recommendations and that the agency will continue to use lethal force. U.S. Border Patrol Chief Michael Fisher writes a memo about the Border Patrol averaging two alcohol-related arrests a week. An inside source tells of border agents showing up to work drunk and still allowed to work. Cruz Marcelino Velazquez died from drinking a highly concentrated liquid methamphetamine at the San Diego border crossing. He drank the liquid methamphetamine at the request of CBP agents. Border communities send nearly 200 quilt panels expressing stories of loss as a result of border militarization. The Border Quilt is displayed on the National Mall in sight of the Capitol Building. Twenty members of Congress sign a letter addressed to Custom and Border Protections’ Acting Commissioner Thomas Winkowski requesting a meeting to discuss growing concerns about the agency’s lack of accountability and oversight, which has resulted in countless cases of abuse and corruption within the agency. A 54-year-old woman was subjected to a strip-search and later taken to the University Medical Center of El Paso for other unjustified examinations that lasted for six hours- all without a warrant. She was then released without charge. The woman, who is a U.S. citizen, was only attempting to cross a bridge in El Paso to return to the U.S. from Mexico when CBP agents stopped her. Border Patrol agent Adam S. Garibay, 33, is suspected of killing his wife’s lover, Keith J. Martin, 35. After beating and tying up his wife in Corpus Christi, Garibay drove to Martin’s home on a private road 3 miles north of Hondo, TX, and allegedly shot him to death. Border Patrol Chief Michael Fisher told The Associated Press that “to say that you shouldn’t shoot at rock-throwers or vehicles, for us, in our environment … could potentially put Border Patrol agents in danger.” But data from Custom and border protection and the FBI proves that local police and sheriff’s deputies are more likely to be assaulted than a Border Patrol agent. The data proves that there needs to be better training for agents and changes to the use-of-force policy. Reportedly, Gabriel Sanchez Velazquez struggled with a Border Patrol agent in an attempt to get the federal officer’s weapon. The BP agent, ” freaking for his personal safety and potential serious injury, pulled his handgun and fired at the suspect”. Velazquez was struck in the upper boy area and “succumbed to his injuries at the scene. Velazquez was part of a group that Border Patrol was tracking near Apache and Portal, Arizona. He was located by an agent “hiding under a mesquite bush.” Cochise County Sheriff’s Office is leading the investigation. NBC San Diego “Politically Speaking” segment with Shawn Moran, the VP of the national BP union discussing PERF, rock throwing, allegations of abuse. Border Patrol staff show children how to shoot with paintball guns at fully-dressed target. The “shooting range” is a few feet from the border fence and a 100 feet from a location where actual people have been killed. This event is not only a symbol of the Border Patrol agency’s violent use-of-force, but it also enforces the obvious need for accountability and oversight of the Border Patrol agency. Jose Guzman, the man who released a cellphone video to 10News of a controversial Border Patrol arrest, was arrested for supposedly violating the terms of CPAC. CPAC arrested him for not contacting his case worker after making contact with the Border Patrol agents. Judge agrees with Guzman’s attorney that there should’ve been an administrative hearing with Guzman by CPAC before the arrest. Article: Man who shot controversial Border Patrol brutality video fights for release from jail. Jesús Flores-Cruz was shot and killed by a Border Patrol agent after Florez-Cruz allegedly hurled several large rocks at him. Investigators said that one of the larger pieces hit the agent in the head and that the agent feared for his life so he fired his weapon. Deputy Secretary of Homeland Security Alejandro Mayorkas and General Services Administration Administrator Dan Tangherlini visited the Laredo Port of Entry and announced funding to expand and modernize the nation’s 5th largest Port of Entry. An off-duty Border Patrol agent from California fatally shot a man in Detroit during a dispute that may have stemmed from a card game. Deputy Chief Rodney Johnson says an argument between the agent’s cousin and another man outside the home and the other man brandished a gun from inside a vehicle. Johnson says the agent fired several shots at the other man, killing him. Report all incidents of use of force for the agency to review. Do not apply more than 3 times or to sensitive areas, or in flammable situations, or to vulnerable populations (children, etc.). Do not shoot at moving vehicles unless imminent threat of serious injury or death; Do not shoot at fleeing vehicles; Do not place yourself in the path of moving vehicle. Do not shoot in response to projectiles unless there is danger of serious death or injury; Seek cover or remove yourself from area of danger. Jose Luis Arambula was shot and killed in Green Valley, Arizona as he was fleeing Border Patrol agents. Border Patrol Agent Daniel Marquez fired multiple shots at Arambula, killing him. Article: U.S. Citizen shot 9 times in the back by border patrol agent hours after PERF report and revised use-of-force policies were released. Article: Los Angeles Times: Border agency ousts head of internal affairs, will investigate unit. Article: Mexican Teenager killed by US Border Patrol agents had rights, court rules. Click here for a copy of the complaint filed in Rodriguez v. John Does. The U.S. border patrol will begin wearing cameras at its training academy . R Gil Kerlikowske announced the plans on September 16 that testing will occur at the border patrol academy in Artesia, New Mexico. A federal judge in San Diego ruled that a civil case brought by the relatives of Anastasio Hernandez Rojas, a man who died after being beaten and shot with a Taser by a U.S. border agents, can go to trial. The judge ruled against the agents’ request for summary judgment in the case, saying valid questions of constitutional rights were at stake. Amaro Lopez died with a single gunshot to the head, according to Pima County Medical Examiner’s Office. Two BP agents were after several men in the area of West Hermans and South Sandario when one of the men tried to shoot one of the agents. One agent fired his weapon in response. The other members of the group ran off.